Your Manager or human resources has referred you to occupational health because your health may be affecting your attendance or performance at work, or your work may be affecting an existing health problem. Many people worry about their referral, as they may not fully understand the reason for the referral, or the role of occupational health. We hope the following information may help you to feel less anxious and more relaxed about having contact with our team. Q. I don’t understand why I have been referred to occupational health. A. Your Manager or human resource (HR) advisor should discuss the referral with you and ask you to sign the referral form. This is not always possible if you are off sick and they have been unable to see you. If you are unsure why you have been referred, do contact your manager to discuss this. Q. Where will I have to go for my appointment? A. We are based in 2 Kirkby Terrace, on the Plymouth Campus. Q. Who will I see? A. 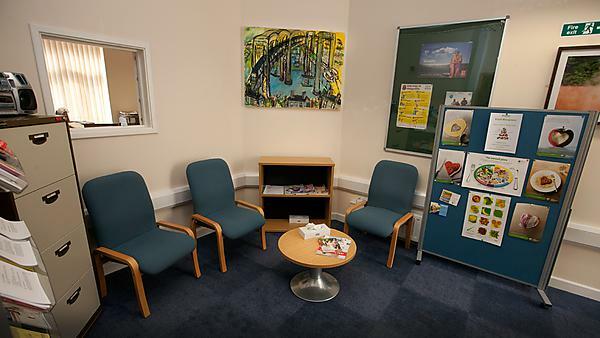 You'll be greeted by the Occupational Health Administrator at reception and directed to the waiting room. Your letter will tell you who your appointment is with, and this will be either an Occupational Health Nurse or Doctor. A. An average appointment lasts for about an hour. Sometimes a little longer may be allocated if your health problem appears to be complex. Q. What happens at my appointment? A. The Nurse or Doctor will check the details on the referral form we have received from your manager. They will discuss the content of this with you, and ask you about your current health problem, including details of any treatment you have received or are waiting for. They will also discuss your role and activities at work to identify any areas where you may be experiencing difficulties. Q. Will there be a medical examination? A. The clinical staff are not seeing you to make a diagnosis as this would normally be undertaken by your GP or Specialist. Therefore a full medical examination will not normally be necessary. However, in certain cases, it may sometimes be helpful for us to look at an area of injury or disability, or to assess mobility and function by checking a range of physical movements. For the most part, we will be talking to you about your health problem, and asking you questions about how it affects you. Q. What happens if I’m not well enough to attend the clinic? A. It may be possible to arrange an initial telephone consultation. If you are offered a clinic appointment and are too unwell to attend, please contact the Administrator for further advice. A. All staff in the department are aware of the sensitive nature of any information held about you. In addition, the Data Protection Act and the Access to Medical Records Act offers further protection to prevent your medical or personal information being shared with anyone outside occupational health. The Nurses and Doctor also work within codes of conduct that ensure that confidential information about you is not divulged without your consent. Q. What information or advice will you give to a manager or HR? A. The completed referral form received from your Manager/HR gives them the opportunity to give details of their concerns about your health and to ask questions from a standard list. We will attempt to answer their questions and give an opinion or advice based on the information you have provided during the appointment. advice on reasonable adjustments for permanent disability. We will discuss with you what we are planning to include in the report and will not give confidential information without your consent. You'll be sent a copy of the report if you wish. Q. Is it compulsory for me to attend an appointment? A. You do, of course, have a right to decline the appointment. In this case, your manager may have to make decisions about your employment situation without the benefit of advice as that listed above. Occupational Health, University of Plymouth, Drake Circus, 2 Kirkby Terrace, Plymouth, PL4 8AA​. The building has disabled access to the rear - please press the intercom button to alert staff for entry.